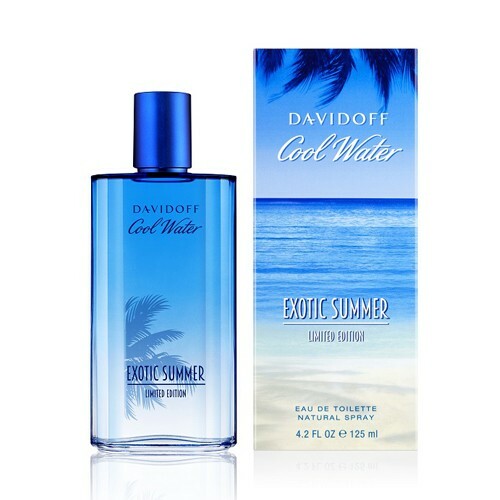 Davidoff launches its annual summer limited editions of the always popular Cool Water fragrances in a collection called Cool Water Exotic Summer for 2016. Since the original Cool Water from 1988 and Cool Water Woman from 1996, Davidoff finds inspiration in oceans and annually launches new, limited edition aromatic-aquatic fragrances. The new collection was preceded by Cool Water Summer Seas in 2015, Cool Water Coral Reef in 2014 and Cool Water Into The Ocean in 2013. Cool Water Exotic Summer for men is a fresh and bright reinterpretation of the original with aromatic - citrusy and marine notes. It begins with sparkling notes of mandarin, enriched with aromatic juniper, basil and sage. Cool mint in the heart makes a prelude to the woody, masculine base of sandalwood. Available as 125 ml Eau de Toilette.